Spread across the modern vibrant expanse of London are a large number of palaces ranging from the ancient to the modern. Some (Whitehall Palace) no longer exist. Others (Eltham Palace) are only visible in fragmentary and much-altered form. Yet others (Westminster) are questionable as palaces. And one or two (Alexandra Palace) are not palaces at all! 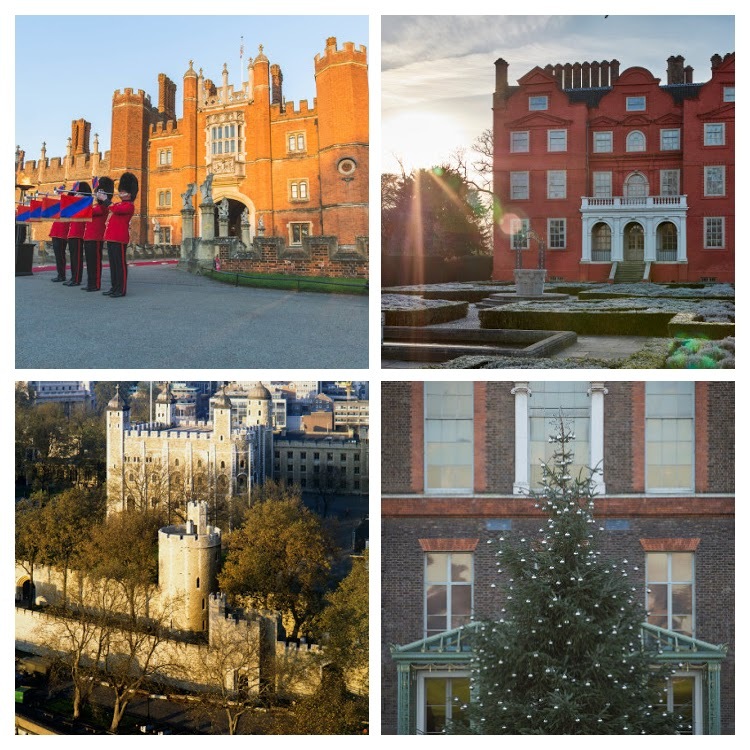 The sites managed by Historic Royal Palaces are representative of London’s palatial diversity and history. The Tower of London, begun by William the Conqueror in the eleventh century, has served as fortress, royal mint, prison, place of execution, and royal residence. Kensington Palace, relatively recently acquired as a royal palace in the seventeenth century, was intended as a country residence in expansive landscape gardens and is still used to house members of the royal family. Hampton Court Palace is three palaces in one: a gigantic and rambling combination of Tudor and Baroque dating to the early sixteenth century, though with much longer antecedents, with multiple functions and periods. Kew Palace was a private royal retreat, small in scale with an emphasis on domesticity and the desire of monarchs to flee the public eye and live in pastoral peace. The Banqueting House, meanwhile, a great hall built for royal entertaining, is all that remains of the vast and sprawling Tudor Palace of Whitehall built by Henry VIII as a residence for his second wife Anne Boleyn and seat of court close to the central institutions of government. These palaces provide a great deal of evidence of the European and international cultural world of royalty, and this includes German influences. Whether in their works of art, their architectural styles, their gardens, their collections, or their stories, the palaces contain rich examples of the interconnectedness of British and German history from the medieval period to the present day. This talk will demonstrate rich Anglo-German legacy that exists in London’s palaces and the common heritage that lies at the heart of these ancient sites. John R. Davis is Programme Director of Heritage Management at Historic Royal Palaces and Professor at Queen Mary University of London. He has an MA in German and International Relations (Aberdeen University) and a PhD in History from Glasgow University. He has published widely on British and German history and Anglo-German relations. His publications include The Great Exhibition of 1851; The Victorians and Germany; and two volumes entitled Common Heritage: Documents and Sources relating to German-British Relations in the Archives and Collections of Windsor and Coburg (together with Franz Bosbach and Karina Urbach). He is currently director of the MA in Heritage Management (a collaboration of Historic Royal Palaces and Queen Mary University of London) and researching the heritage management of royal estates and Anglo-German common heritage. Ihre Anmeldung wurde erfolgreich verschickt. Vielen Dank! Tut uns Leid, es gab einen Fehler beim Versenden Ihrer Anmeldung. Bitte kontaktieren Sie uns telefonisch oder per E-Mail. Vielen Dank!